Juneteenth traces roots to June 19, 1865. President Abraham Lincoln’s Emancipation Proclamation of 1863 was supposed to end slavery throughout the United States. But both Civil War battles and slavery continued for another two and half years and after the official end of the Civil War with the Confederacy surrendering to the Union on April 9, 1865 slavery continued in many areas of the country. 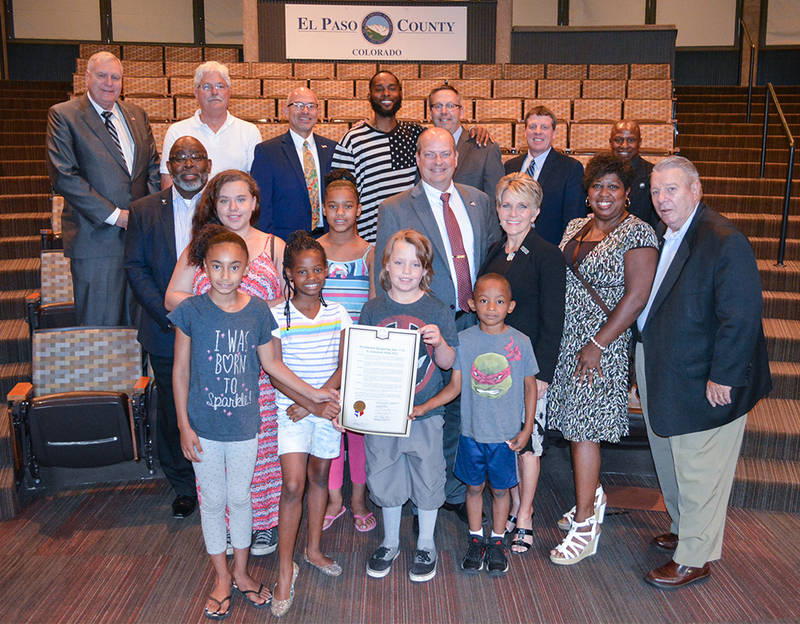 The Board of County Commissioners, during its regularly scheduled Thursday meeting, gave unanimous approval to a Proclamation declaring the week of June 17-23 as “Juneteenth Week” in El Paso County. Nicholas Crutcher of the Juneteenth celebration told Commissioners the celebration helps to highlight the needs of youth. “We want to assure that all of our children are reading on level and they understand that gangs are not the answer,” Crutcher said.